FeaturesMade for any room You can place Dot in the bedroom and use it as a smart alarm clock that can also turn off your lights. Or use Dot in the kitchen to easily set timers and shop using just your voice. 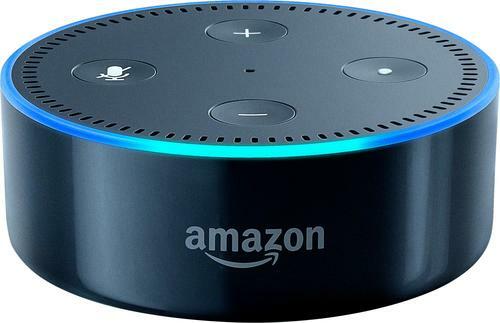 Voice control your music Provides hands-free voice control for Amazon Music, Apple Music, Spotify, Pandora, SiriusXM, TuneIn, and iHeartRadio. 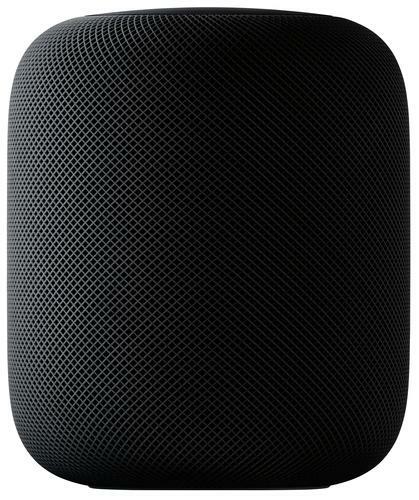 Multi-room music support Helps you play music across multiple Echo devices simultaneously (Spotify and Sirius XM coming soon, Bluetooth not supported for multi-room music). 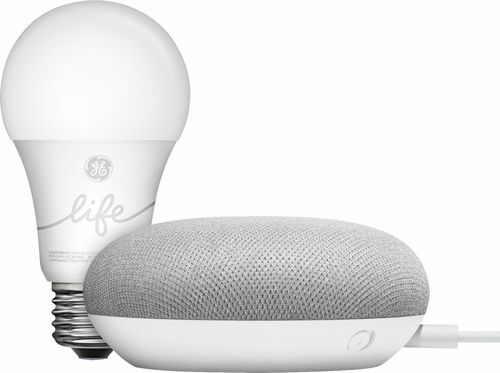 Voice control your smart home Switch on the lamp before getting out of bed, turn up the thermostat while reading in your favorite chair, or dim the lights from the couch to watch a movie. Far-field voice recognition Array of seven microphones with enhanced noise cancellation. 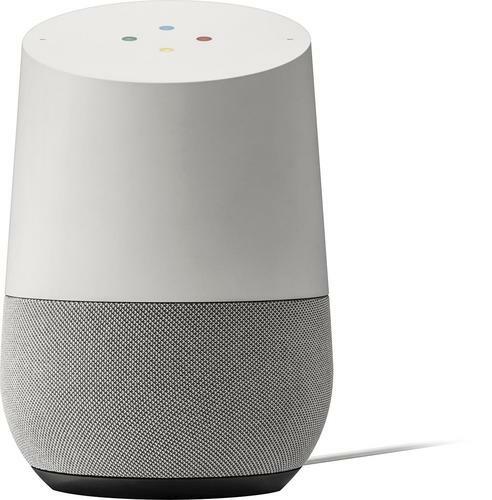 With a more powerful processor, improved wake-word performance to hear you ask a question from any direction, in noisy environments or while playing music. 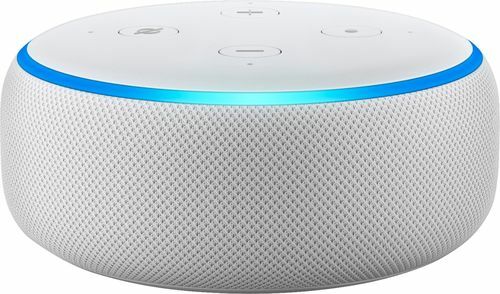 Bring Alexa to an Existing Speaker Bring voice control to an existing speaker by connecting it to Dot using a standard audio cable or Bluetooth. 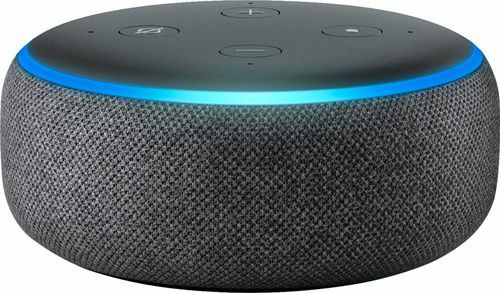 Alexa calling and messaging Hands-free calling and messaging to almost anyone. Plus, now with Skype calling stay in touch with friends and family in over 150 countries. 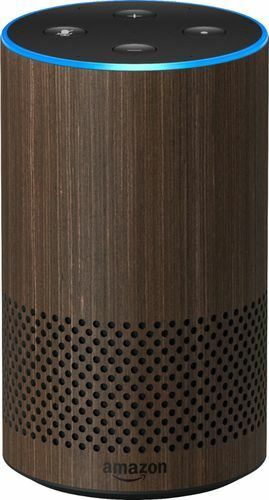 Alexa always getting smarter The more you use Dot, the more it adapts to your speech patterns, vocabulary, and personal references. 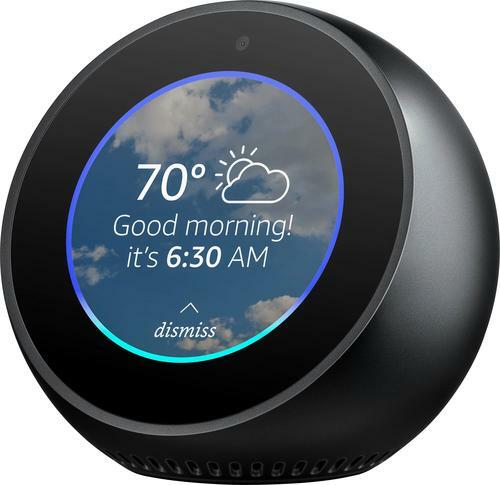 And because Echo Dot is always connected, updates are delivered automatically. 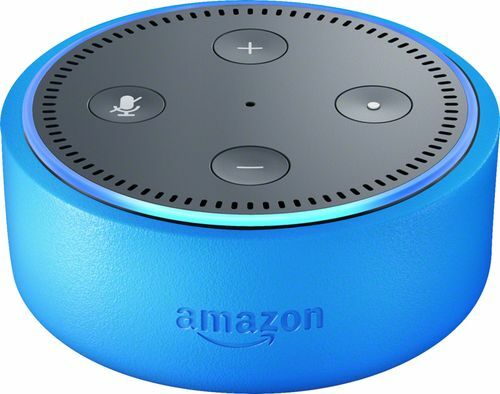 Alexa app With the free Alexa App on Fire OS, Android, iOS, and desktop browsers, you can easily setup and manage your Echo Dot.